All information, content, services and software displayed on, transmitted through, or used in connection with www.madisontechnical.com including but not limited to news articles, reviews, directories, guides, text, photographs, images, illustrations, audio clips, video, html, source and object code, trademarks, logos, and the like (collectively, the “Content”), as well as its selection and arrangement, is owned by Madison Technical, and/or its affiliated companies, licensors and suppliers. You may use the Content online only, and solely for your personal, non-commercial use, and you may download or print a single copy of any portion of the Content solely for your personal, non-commercial use, provided you do not remove any trademark, copyright or other notice from such Content. If you operate a Web site and wish to link to madisontechnical.com, you may do so provided you agree to cease such link upon request from Madison Technical. No other use is permitted without prior written permission of Madison Technical. The permitted use described in this Paragraph is contingent on your compliance at all times with these Terms of Service. The trademarks, logos, and service marks (collectively “Trademarks”) appearing on the www.madisontechnical.com website are the property of Madison Technical and other parties. Nothing contained on the madisontechnical.com website should be construed as granting any license or right to use any Trademark without the prior written permission of the party that owns the Trademark. You may not republish any portion of the Content on any Internet, Intranet or extranet site or incorporate the Content in any database, compilation, archive or cache. You may not distribute any Content to others, whether or not for payment or other consideration, and you may not archive, modify, copy, frame, cache, reproduce, sell, publish, transmit, display or otherwise use any portion of the Content. You may not scrape or otherwise copy our Content without permission. You agree not to decompile, reverse engineer or disassemble any software or other products or processes accessible through www.madisontechnical.com not to insert any code or product or manipulate the content of www.madisontechnical.com in any way that affects the user’s experience, and not to use any data mining, data gathering or extraction method. 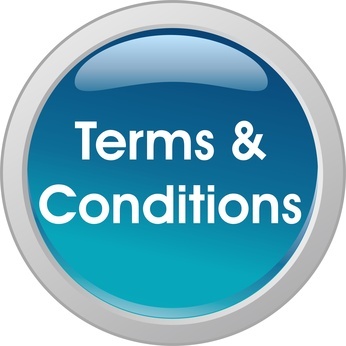 Requests to use Content for any purpose other than as permitted in these Terms of Service should be directed to Madison Technical at (909) 784-3350. In such cases, we will tell you directly the portions of the Content that may be used. Submission of Information Request Form. You acknowledge, consent and agree that Madison Technical may preserve and disclose any information and the contents of your online form submission if required to do so by law, or in good faith belief that preservation and/or disclosure is reasonably necessary for the following purposes: (1) to comply with legal process, such as a court order, search warrant, or subpoena; (2) to enforce the terms of this Terms of Service; (3) to render service you request; (4) to protect the rights or property of MadisonTechnical, and their third party suppliers and licensors; or (5) in circumstances that we deem, in our sole discretion, to pose a threat to the safety of you or others. Submission of Request Form Representations and Warranties. By submitting a request form at www.madisontechnical.com, you represent and warrant: (1) you own or otherwise have all necessary rights to the User Content you provide and the rights to provide it under these Terms of Service; and, (2) the User Content will not cause injury to any person or entity. Using a name other than your own legal name in association with the submission of User Content is prohibited (except in those specific areas of madisontechnical.com that specifically ask for unique, fictitious names). • Content shall not contain vulgar, profane, abusive, racist or hateful language or expressions, epithets or slurs, text, photographs or illustrations in poor taste, inflammatory attacks of a personal, racial or religious nature. • Content shall not be defamatory, threatening, disparaging, grossly inflammatory, false, misleading, fraudulent, inaccurate, unfair, contains gross exaggeration or unsubstantiated claims, violates the privacy rights of any third party, is unreasonably harmful or offensive to any individual or community. • Content shall not violate any right of madisontechnical.com or any third party. • Content shall not discriminate on the grounds of race, religion, national origin, gender, age, marital status, sexual orientation or disability, or refers to such matters in any manner prohibited by law. • Content shall not violate or encourage the violation of any municipal, state, federal or international law, rule, regulation or ordinance. • Content shall not interfere with any third party’s uninterrupted use of madisontechnical.com. • Content shall not advertise, promote or offer to trade any goods or services, except in areas specifically designated for such purpose. • Content shall not upload or transmit viruses or other harmful, disruptive or destructive files, material or code. • Content shall not disrupt, interfere with, or otherwise harm or violate the security of madisontechnical.com, or any services, system resources, accounts, passwords, servers or networks connected to or accessible through madisontechnical.com or affiliated or linked sites. • Content shall not “Flame” any individual or entity (e.g., send repeated messages related to another user and/or makes derogatory or offensive comments about another individual). WARNING: A VIOLATION OF THESE RULES MAY BE REFERRED TO LAW ENFORCEMENT AUTHORITIES. Unsolicited Material and Ideas. Madison Techncial is not responsible for the similarity of any of its content or programming in any media of materials or ideas provided to Madison Technical. You acknowledge and agree that if you send any unsolicited materials or ideas, you do so with the understanding no additional consideration of any sort will be provided to you, and you are waiving any claim against www.madisontechnical.com and its affiliates regarding the use of such materials and ideas, even if material or an idea is used that is or may be substantially similar to the idea you sent. Communications with Third Parties Through Madison Technical. Your dealings or communications through Madison Technical with any party other than Madison Technical are solely between you and that third party. For example, certain areas of madisontechnical.com may allow you to conduct transactions or purchase goods or services. Under no circumstances will www.madisontechnical.com be liable for any goods, services, resources or content available through such third party dealings or communications, or for any harm related thereto. Please review carefully the third party’s policies and practices and make sure you are comfortable with them before you engage in any transaction. Complaints, concerns or questions relating to materials provided by third parties should be directed to the third party. During your visit to www.madisontechnical.com you may link to, or view certain content that is created or hosted by a third party. Because Madison Technical has no control over third party sites and resources, you acknowledge and agree that Madison Technical is not responsible for the availability of external sites or resources, nor for the content, actions, or policies of those sites. Information you provide on such sites, including personal information and transactional information, is subject to the terms of service of those sites.